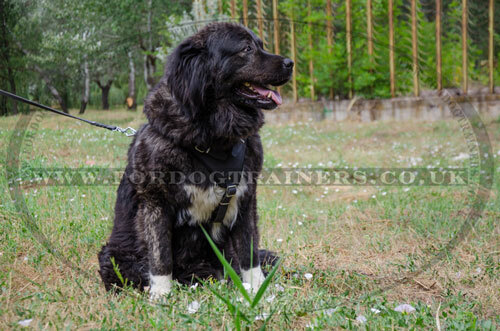 This large leather dog harness is made of genuine high quality leather for Caucasian Shepherd training. This reliable supply guarantees maximum comfort. Gently stitched edges of the straps will not harm your Ovcharka's fur or rub its skin. It has felt lining on its chest and back parts. Soft chest dog harness carefully encircles the body of your pet so that the load is allocated throughout the whole body preserving the neck. This model is a perfect leather dog training harness. It is equipped with D-ring for a leash on the back part. Dog harness with chest pad has adjustable straps due to which you can regulate the appropriate size up to individual features of your doggie. You can quickly put it on the dog with the help of one strap only that is designed with a strong metal buckle. 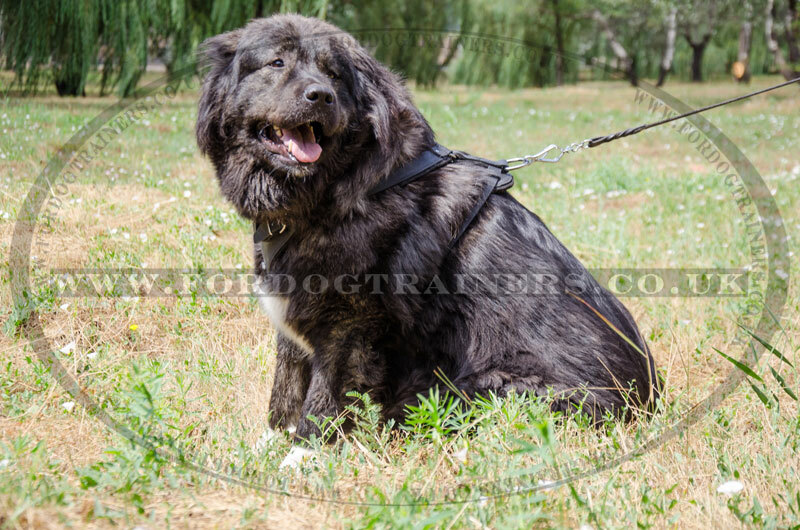 Your Caucasian Shepherd feels total comfort while active exercises, barking or walking being under your restrained control. 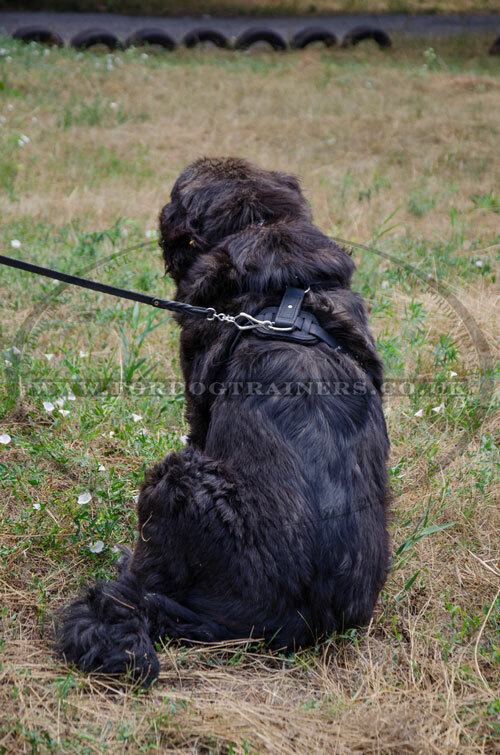 Adjustable large leather dog harness is reliable, extra-strong and ideal for any kind of training or controlled walking. All fittings are casted and nickel-plated to resist corrosion. Buy dog body harness for Caucasian Shepherd at the best price from direct manufacturer in our online store.